There are heavy rumors of it being a tech company with lots of $ taking that corner location. There's a potential of it being an Apple store, or maybe something else. Really? Very interesting. What are the zoning regulations around there? Hard to imagine an Apple store in that spot, but I suppose anything is possible. 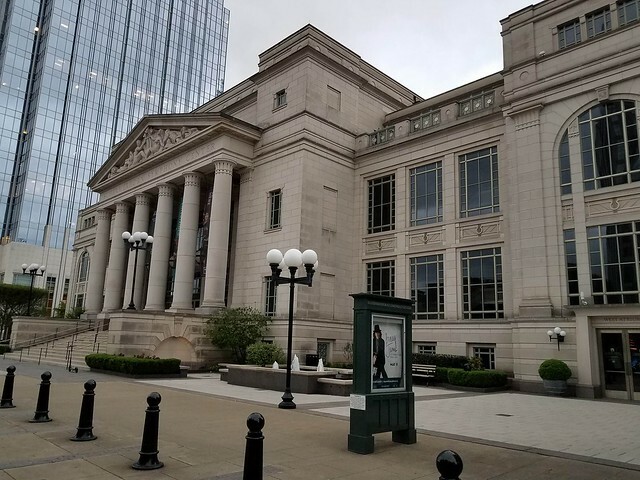 A trio of investors, including a hotel-industry icon and private-equity giant, formally announced the new scope of their two-tower development Tuesday across the street from downtown Nashville's Music City Center convention hall. Construction is already underway at the intersection of Demonbreun Street and Eighth Avenue South, teeing up a project that will involve a 30-story Embassy Suites and an 18-story luxury 1 Hotel. The latter is a brand created by billionaire Barry Sternlicht, of Starwood Capital Group, a global investment fund focused on real estate, hotels and energy. Presumably, the proposed Hilton Curio tower (now the 1 HOTEL Tower) will not change much as shown here. The other tower is the 30 story Embassy Suites. The developers of a tower on Midtown's West End Avenue have secured the financing needed to build their apartment project. Newly filed public records reveal a $68.3 million construction loan for the 25-story development at 2004-2012 West End Ave. Chicago-based CA Ventures is developing the 360-unit tower, alongside Diamond Realty Investments Inc., which is the real estate investment arm of Japanese conglomerate Mitsubishi Corp. The original proposal received considerable blowback from local neighborhood groups as the development is to be located on the westernmost area of Midtown where residential sections border. This diagram, while fairly recent, has not been updated to show the agreed changes (slightly reduced height, more trees, etc.). The building could go up to 27 stories and 400 ft. as stated in previous posts. A couple of years ago, I would drive down Broadway/West End and wonder why the building boom had missed this, the main artery of the city. 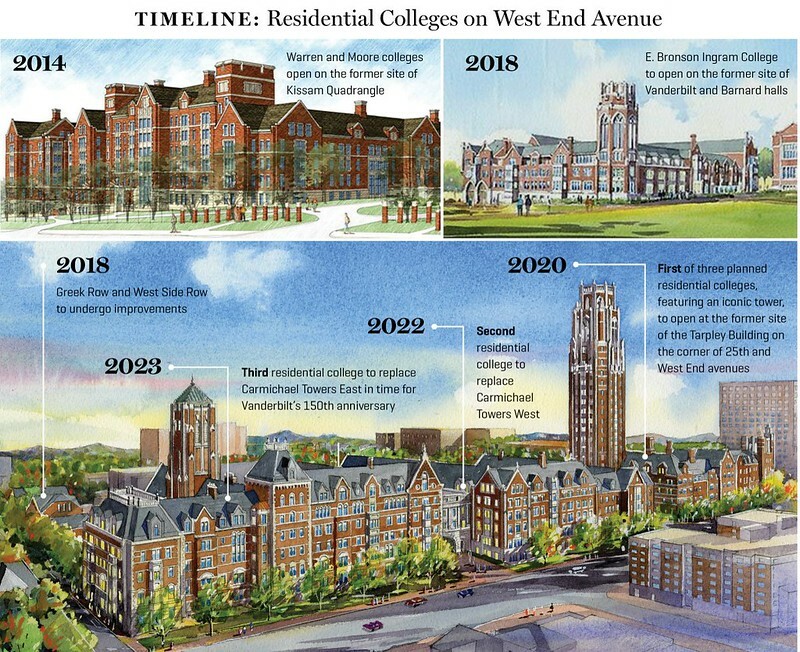 How far along is the Vanderbilt high-rise dorm? The dorm section is at six stories up, they're topped out. I think the tower part is about to start construction. I can't wait to see how it turns out, I think this is my favorite thing under construction here right now. Now if developers could just get White Castles, Beaman Automotive and other auto dealers to relocate. That land is prime for major development. Well, Boogity, boogity. This came out of nowhere although there has been some discussion about bringing NASCAR back to the Fairgrounds in Nashville. This has to be legitimate with the Populous logo and the soccer stadium with associated mixed-use development. The Fairgrounds race track is a 5/8ths mile course which once held NASCAR Cup races maybe 40+ years ago. It still holds local racing events on Saturday nights in the summer. This could be pulled off, I fully believe. 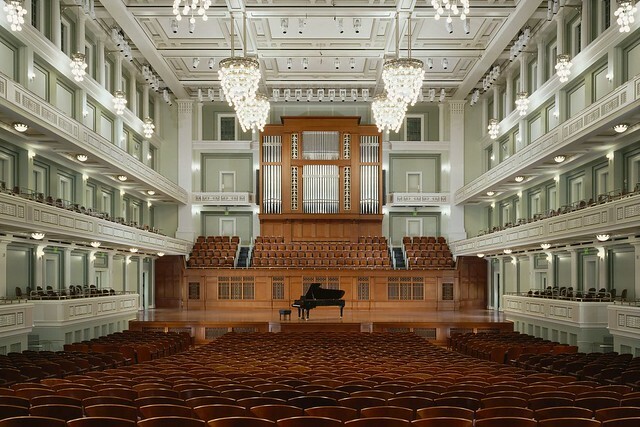 The annual awards show has already been moved to Nashville. I don't have any details, but I will pass them on as soon as more is known about it. 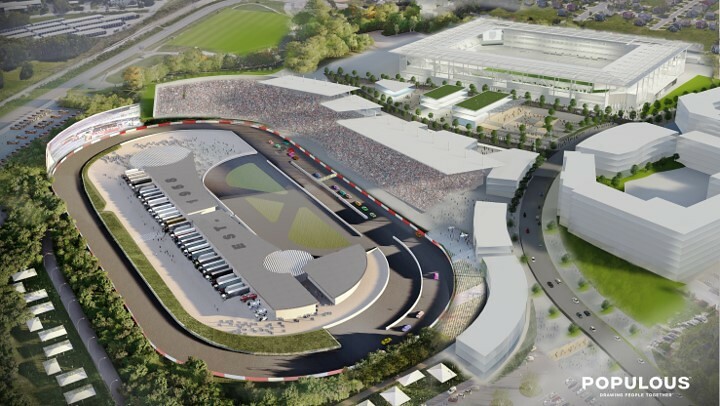 I'm not a auto racing fan, but I can certainly see how bringing NASCAR back to Nashville could be a big draw. Of course I still don't understand why the Super Speedway track in Lebanon was unsuccessful. 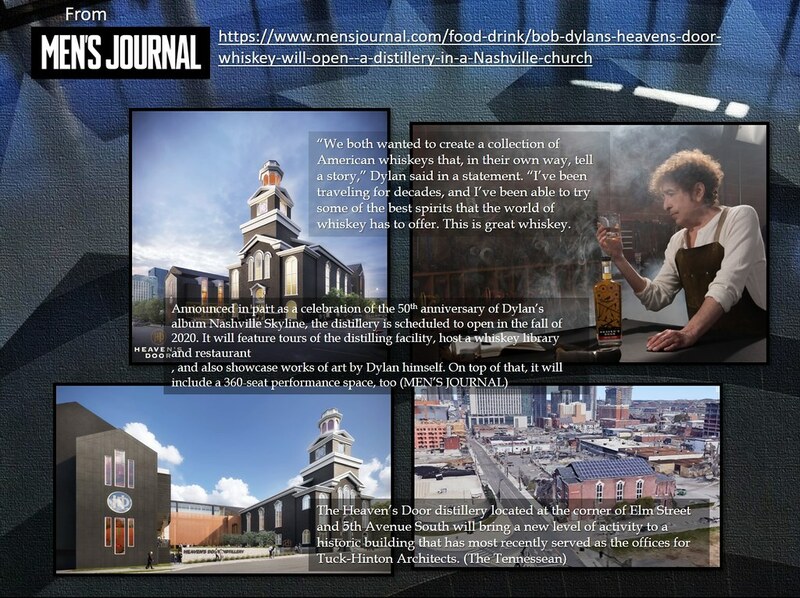 That was supposed to be the rebirth of NASCAR in the Nashville area when it was built 2001. I don't think NASCAR was ready when it was built. But with declining attendance all around, a 30,000 crowd on a Saturday night watching Cup races at the Fairgrounds in Nashville maybe just the exposure they need. Last edited by MidTenn1; Apr 11, 2019 at 4:38 PM. The second crane (behind the nearest) marks the site of the 20 story residential tower. The 14 story 'Commie Block' dorms will begin demolition next year. Cleaning out the desk....another proposal for Wedgewood-Houston (WeHo). It may be a preliminary proposal, but it looks good to go for me. They plan to relocate the old guitar shaped scoreboard from Greer Stadium Ballpark, a block away, which is currently undergoing demolition. The development will be caddy corner to the May Hosiery rehab mentioned a few pages earlier. I hope this gets built. The huge stage will face Broadway and will host the announcement of various picks by the Commissioner. The long tent like structure is apparently for green rooms and tv production control rooms. The site of the soon to break ground, 40 story, 4 Seasons Hotel and Residences is being used for temporary staging of production equipment..
And this picture of the crowds downtown on a Sunday afternoon in April. The 5th+Broadway project is rising in the background where the two cranes are. The one the left is a 35 story apartment and the other one is for the 26 story Alliance Bernstein Office Building. Last edited by MidTenn1; Apr 17, 2019 at 3:07 PM. The Neuhoff project is a sizeable river development across from the River North development. I recall dum dums saying their would be no developments on the river. Shows how much (i.e. little) they know.